Thurston was voted favorite web series of the week. 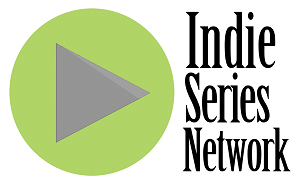 The results are in from the Indie Series Network's Web Series of the Week poll for November 30-December 6, 2014. Thurston was voted favorite web series of the week for its Season 3 premiere. The second season launch of Milgram and the Fastwalkers landed the show in second place, followed by the return of The Bay, and new episodes The Socialist and Youthful Daze. The acting favorites were Thurston's Walt Willey and Colleen Zenk, and the favorite couple/duo was Edmund & Agnes from Thurston. Walt Willey (Edmund Snead in Thurston) was voted Favorite Actor for the week. Colleen Zenk (Agnes Snead in Thurston) was voted Favorite Actress of the week. The Favorite Couple/Duo this week was Agnes & Edmund from Thurston. - Bi Episode 6 "Bi-onic"
- First Sight Episode 3 "Phone Tag"
- Gigahoes Episode 7 "Synth-Skin is the New Black - Part 1"
- Mad House Episode 4 "LAN BeFOUR Time"
- No Regrets Episode 6 "6-Month Review"
- Old Dogs & New Tricks Season 3 Episode 4 "To Have & Have Not"
- The River Episode 8 "The Winner"
- The Socialist Episode 5 "#Justice"
- Triangle Episode 6 "Scorn"
- Weblog Episode 1 "The Troll"
- Youthful Daze Season 3 Episode 14 "The Choice"
The final deadline to submit your web series for the 6th Annual Indie Series Awards is December 31, 2014. For information ISA6 and to submit your show, visit indieseriesawards.com.